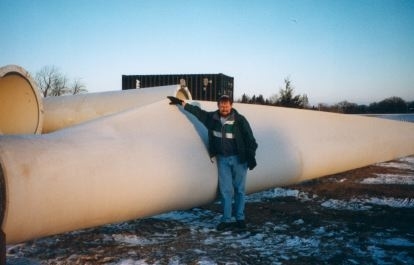 We are especially pleased that you are visiting our wind turbine project. The District is very proud to be one of the first school districts in Iowa to study and construct a wind turbine on our campus. 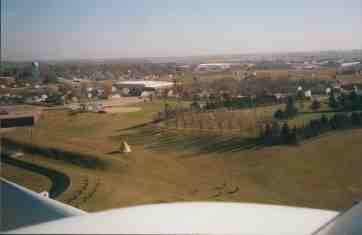 The wind turbine has been a source of pride for the school district and the community of Forest City. It demonstrates what a school system and city government can do when there is a shared vision. Our school system benefits because of the use of an alternative source of pollution free energy. The City Council of Forest City worked very closely with the Board of Education of the Forest City Community in negotiating an electrical contract that allowed the District to trade kilowatt for kilowatt for power produced. The electrical contract assured the District that there would be sufficient cost benefits to build the turbine. The pay off period for the wind turbine has been estimated to be between nine and thirteen years depending on wind patterns. 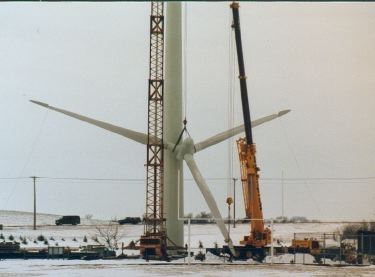 Once the turbine is paid for, it is estimated that even after maintenance expenses the turbine should enhance revenues up to $50,000 per year for years to come. 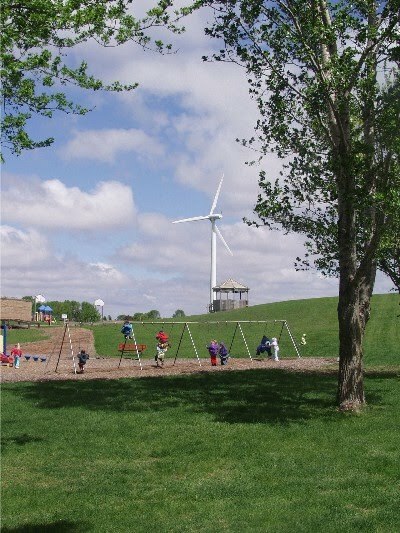 The Forest City Community School District takes great pride in being a leader in the use of wind energy. 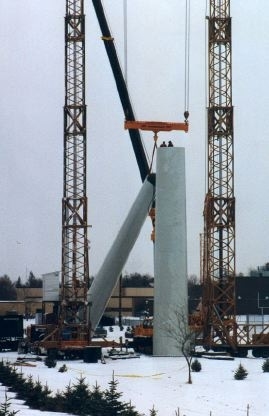 The wind turbine started as a Physics project. The Physics students did a study of wind energy that proved interesting. They then obtained an anemometer and placed it on the top of the water tower and collected data for a year. The data showed the average wind speed was high enough to continue the project. One student then did a feasibility study along with the possible economic numbers. The student and teacher then approached the school board with the information. 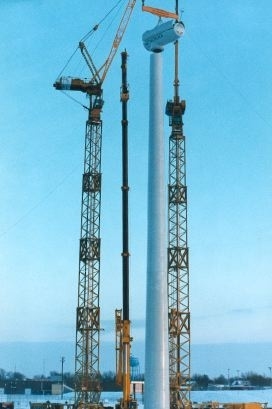 There were two turbines that were studied. One was a 250 kw turbine and a 600 kw turbine. 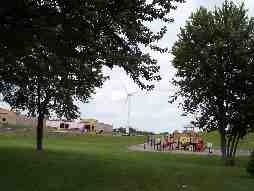 The annual electric usage of the school was obtained and data was obtained from Iowa State's wind energy calculator. 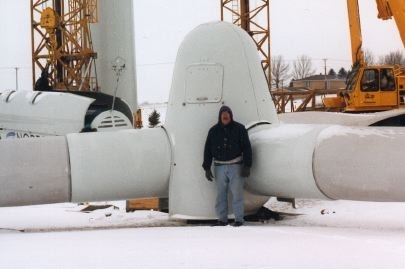 The economics of the larger turbine was the better of the two so the Board thought the project should be continued and they authorized the school to do an energy audit of the buildings and correct what was wasting energy. 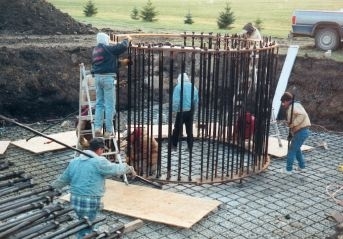 A task force was formed to write the specifications of the turbine and oversee the project to completion. 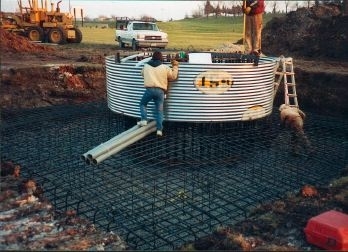 The footings were poured in the fall of 1998 and the turbine assembled in December of 1998. 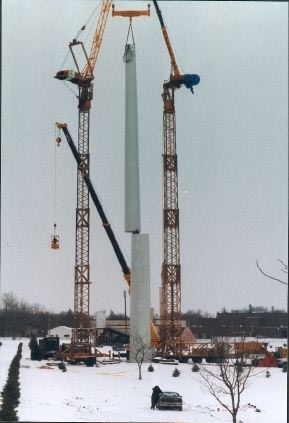 The turbine started producing in January of 1999. Since that time it has produced 13,323,769 kwh (End of 2014) of electricity with an approximate dollar value of $850,298.04 of which $172,105 is from a federal alternative energy program which pays the school district 1.5 cents for each kilowatt hour produced. The federal tax incentive has ended.